Downtown offers a variety of small town charm, starting with a beautiful tree lined Main Street that features gorgeous Victorian architecture, fine dining, boutique shopping and antique shops -- this cute little town provides a quiet contrast to the shore lifestyle. Berlin’s proximity to the beach and downtown entertainment creates the ideal atmosphere to own a home. There are numerous single family homes in stunning communities, as well as luxury water front properties. 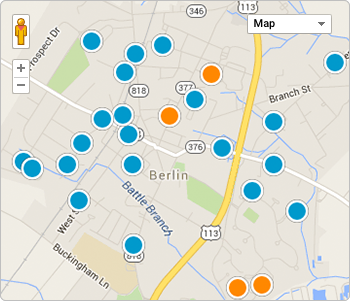 Come discover what Berlin has to offer and start your property search today!